What do we know about ‘Cachalot’? 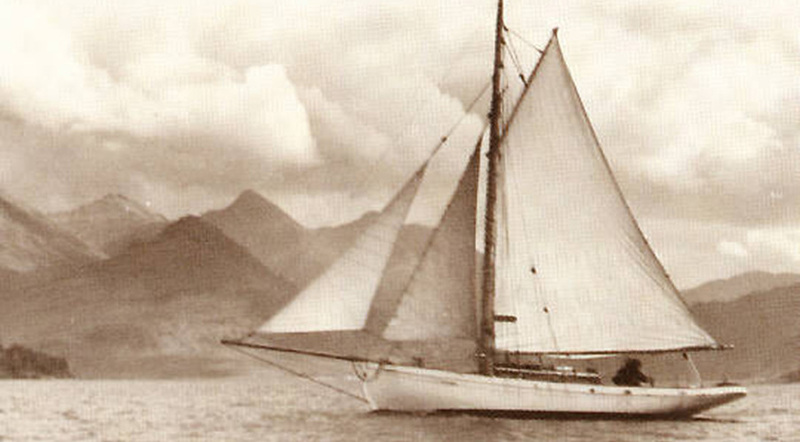 ‘Cachalot’ is a 30′ gaff cutter, built at a timber yard in Folkestone, Kent by Robert Sanders, 1897 and launched in 1900. Perhaps this was a ‘speculative’ build for the new class of ‘gentleman sailors’ returning home from the Boer War? She draws 5′ 6″ and has an interesting history of illustrious owners interspersed with periods of neglect. She’s been a liveaboard twice and seems to have spent most of her life on the East Coast of England. There are articles in the yachting press to show her previous owners cruised and raced her around the coasts of the UK, as well as making passage through the French canal system to the Mediterranean. Her original, handwritten, blue hardback ‘Certificate of British Registry’ survives with the complete folded parchment listing all her owners from 1936 until 1992. Sadly, the registration documentation is now laminated, typewritten, A4 card, providing a record of registration from 2000 onwards. She’s also listed periodically in Lloyds Register of Yachts from 1907. She had her first engine fitted just before the second world war, according to the Lloyds Register (1937 – 1939). In 1940, she took part in ‘Operation Dynamo’ as one of the 700 ‘Dunkirk Little Ships’ sent to the beaches of northern France to evacuate allied troops 26 May – 4 June. 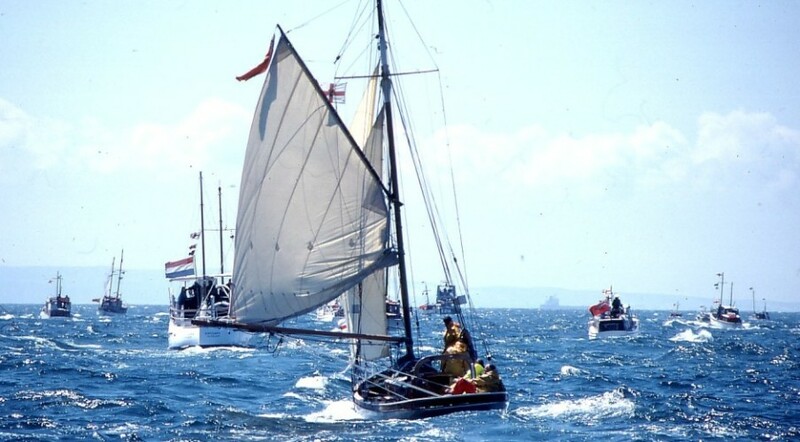 In 1990 she took part in the ‘Return to Dunkirk’, in company with 55 other vessels from the Association for Dunkirk Little Ships (ADLS). When she came into the hands of her current owner in 2005, she was described by the surveyor as ‘in a satisfactory condition for her age’. 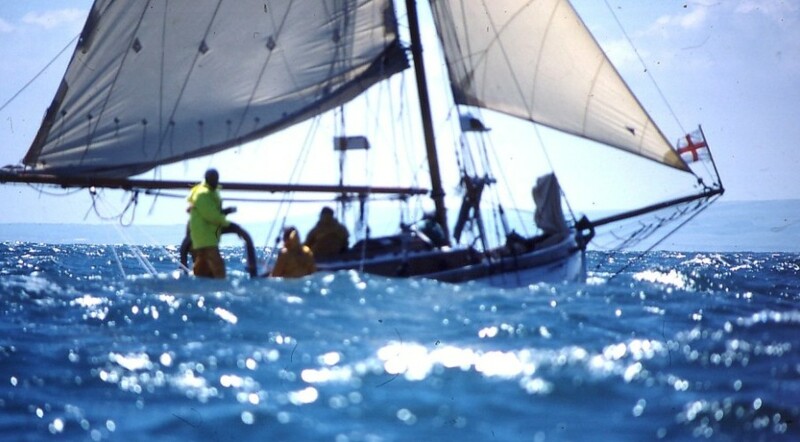 After the first year sailing, with a plan for annual winter maintenance, she sank at her berth and has subsequently been undergoing a major restoration and rebuild. In 2017, she was re-launched at the Tidemill Yacht Harbour, Woodbridge.